RALEIGH, N.C. — The North Carolina election authorities on Thursday ordered a new contest for Congress in the state’s Ninth District after the Republican candidate, confronted by days of evidence that his campaign underwrote an illegal get-out-the-vote effort, abandoned his defense and called for a new vote. The unanimous ruling by the North Carolina State Board of Elections was a startling — and, for Republicans, embarrassing — turn in a case of political chicanery that convulsed North Carolina. 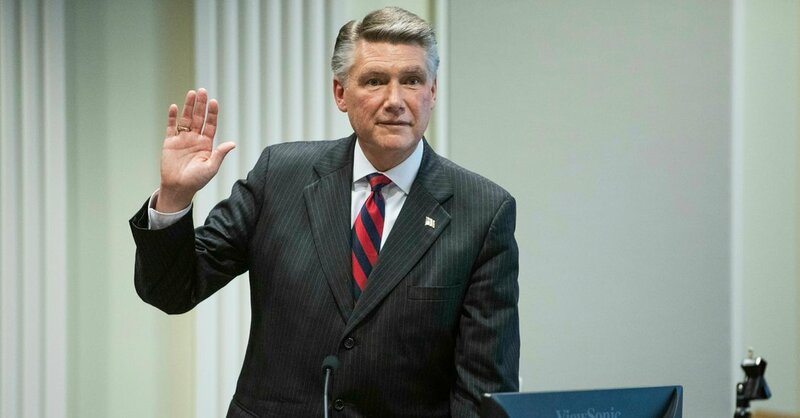 “It’s become clear to me that the public’s confidence in the Ninth District’s general election has been undermined to an extent that a new election is warranted,” the Republican candidate, Mark Harris, said from the witness stand on Thursday afternoon. Although Mr. Harris maintained on Thursday that he did not know, in real-time, about any illegal behavior by L. McCrae Dowless Jr., a campaign contractor, or his workers, witnesses this week depicted an operation that was rife with misconduct, including the completion and collection of absentee ballots. Both actions are illegal in North Carolina, and witnesses said that they had occurred repeatedly. Mr. Dowless, who refused to testify before the board, has not been charged with any crimes in connection with the 2018 election, nor have any of his workers, who were often friends or relatives with little ideological interest in politics. Prosecutors are examining the operation, though, and are considering whether to bring any criminal cases. The North Carolina board’s decision will leave the Ninth District in a state of protracted limbo: Already the site of the final unsettled House race of last year’s midterms, the district is now poised to remain without representation in Congress for at least several more months. It was not clear whether Mr. Harris, who had a 905-vote lead over his Democratic rival, Dan McCready, in last year’s election would choose to run in the new election. List of Missing in California Fire Is Over 1,000 People. Here Is How They’re Being Counted. A lot of cities want roboshuttles, including D.C. But will they work?